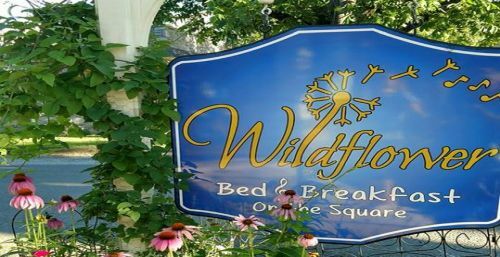 Wildflower Bed and Breakfast – Your B&B in the Ozarks! 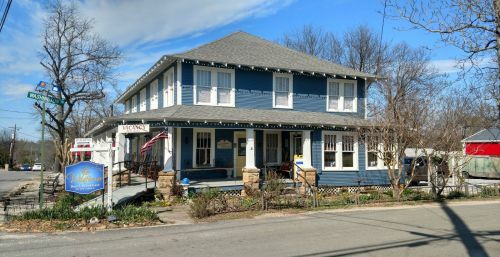 The Wildflower B&B is located just off the square in beautiful Mountain View. Enjoy your stay close to the music, shopping & all area attractions. 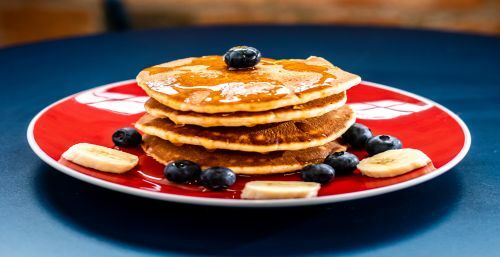 Enjoy a great breakfast each morning! Biscuits and gravy, sausage, bacon, pancakes & so much more. You might even catch some live music played during breakfast! Enjoy a stay in our new, roomy cottages next to the B&B. Pet friendly, handicapped accessible, full kitchen & plenty of room for your next stay. Each Queen Bed Room has its own private en suite bathroom with walk-in shower, cable television, plush towels, and soft Comphy sheets. All rooms are upstairs. Each room sleeps 2 max. Click for room description and pictures. Separate sitting area with mini-fridge, large screen television with cable. Private in-room bathroom with walk-in shower, plush pillows, soft towels, and Comphy sheets. Click for descriptions and pictures. Sitting areas with mini-fridge, large screen television with cable; private ensuite bathrooms with walk-in shower; plush pillows, soft towels, and Comphy sheets.